Magnesium is an important mineral in hundreds of different reactions and processes in the human body. It contributes to proper bone formation, maintaining muscle function, keeping body temperature in check, proper absorption of essential calcium, and much more. Make sure you’re getting enough by enjoying a healthy diet that’s rich in magnesium. Pumpkin seeds are a great source of vitamin E, copper, antioxidants, and magnesium. A 100 gram serving of pumpkin seeds provides 262 milligrams of magnesium—65% of the recommended value for the day. If you choose to bake your seeds in the oven, keep it under about 20 minutes, as any longer may destroy some of the nutrients. Brazil nuts are a fantastic health food that comes from the Amazon forest. They’re high in calories, but even higher in nutrients. A 100 gram serving of flavorful Brazil nuts provides contains 376 milligrams of magnesium, or 94% of the daily value. They’re also high vitamins, fiber, and antioxidants. Most people are familiar with the health benefits of soybeans. These nutrient-rich legumes carry a high amount of fiber, vitamins, minerals, and amino acids. A 100 gram serving of dry roasted soybeans provides 15% of the necessary magnesium for the day. This and other vitamins and minerals found in soybeans are essential in maintaining a healthy immune system, keeping a normal heart rhythm, and building strong bones and muscles. Salmon is a great food choice for its many nutrients and minerals that help your body stay healthy. It’s high in vitamin D, vitamin B-12, omega-3 fatty acids, and magnesium. The magnesium found in a half fillet of salmon adds up to about 14% of what the average person needs per day. Both tasty and healthy, wild rice is a great food to add more of to your diet. A cup of prepared wild rice provides your body with 52.5 milligrams of magnesium, along with several other essential minerals such as folate, fiber, zinc, and iron. Pair it with salmon or cook it with dried herbs to make it a hearty meal that’s as healthy as it is delicious. Dried coriander seeds are widely used in Asian, Mediterranean, and Latin cuisines. They have a nutty citrus flavor that enhances many meals. They also add magnesium and other nutritional benefits to your meal. A tablespoon of dried coriander contains 12 milligrams of magnesium. It’s a great way to add more flavor and nutrients to your favorite meals. Chocolate gets a bad rap for its sugar and calories, but did you know that certain kinds of chocolate can also provide several health benefits? Dark chocolate, as it turns out, is good for your heart, brain, and blood sugar (in small doses, that is). It’s full of antioxidants, vitamin, and minerals, including magnesium. A chocolate bar provides 230 milligrams of this essential mineral. Flaxseed is a versatile super food that you’d be wise to incorporate into your diet today. Just one tablespoon provides 7% of the recommended amount of magnesium per day. It’s easy to include a tablespoon or two into your diet by sprinkling flaxseed over your meals, mixing it in your juice, or blending it with a fruit smoothie. The sunflower is bright and beautiful, and the seeds that come from it are filled with flavor and nutrients. A 100 gram serving of sunflower seeds helps you get 81% of the recommended amount of magnesium for the day. The magnesium in sunflower seeds helps contribute to stronger bones. Eating sunflower seeds also promotes heart health, reduces asthma and arthritis symptoms, and prevents against some types of cancer. Halibut is an oily fish that promotes a healthy heart, skin, and bones. The magnesium in a half fillet measures 170 milligrams, giving you 43% of the recommended daily value. Halibut is a delicious and versatile fish that can be baked, broiled, fried, or grilled. If magnesium deficiency is a concern, try pairing your fish dish with magnesium rich wild rice. Have you noticed how most sweeteners are white in color? That’s because they’ve been stripped of the nutrients and minerals nature gave them. Molasses is a much healthier alternative to sugar or artificial sweeteners. 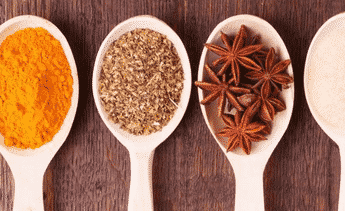 A single tablespoon goes a long way, both in flavor and in nutrients: it delivers 48.4 milligrams of magnesium, or 12% of what the average person should get in a day. Dates stay on their trees for several months before ripening enough to eat. But it’s worth the wait—they’re as sweet and tasty as they are nutritious. Dates are packed with vitamins and minerals, including magnesium. A 100-gram serving adds up to 14% of the average person’s daily magnesium needs. Most people already know that oatmeal has been shown to reduce cholesterol and high blood pressure. They also know that it’s high in fiber and full of antioxidants. But oatmeal is full of many other vitamins and minerals, and one of them is magnesium. A one-cup serving provides 276 milligrams of magnesium. It’s a fantastic way to start a healthy day. Black-eyed peas are cheap enough that you can stock up without having to break the bank. And fortunately, they’re as easy on your body as they are on your wallet. Black-eyed peas are nutritional powerhouses that provide your body with high levels of fiber, potassium, protein, and iron. If you need to get more magnesium in your diet, black-eyed peas provide 91 milligrams per one-cup serving—nearly a quarter of the recommended amount per day. Bananas and other fruits make excellent energy-boosting snacks when you need that extra push to get you through the day. Enjoy a banana when you get hungry next, and you’ll be filling your body with a number of vitamins and minerals. A medium sized banana provides 31.9 milligrams of magnesium, along with potassium, vitamin C, fiber, and more. If you’re looking for a snack that gives you energy for now and plenty of nutrients to last throughout the day, look no further than pecans. Pecan nuts are packed with beneficial nutrients, minerals, vitamins, and antioxidants which will give you a boost both in nutrition and energy. And they taste great, too! Corn is a sweet, delicious food that helped sustain the settlers through the cold, harsh winters in America’s early days. Today, it’s still praised as a tasty and nutritious food that everyone can enjoy as long as it’s organic and non-GMO. 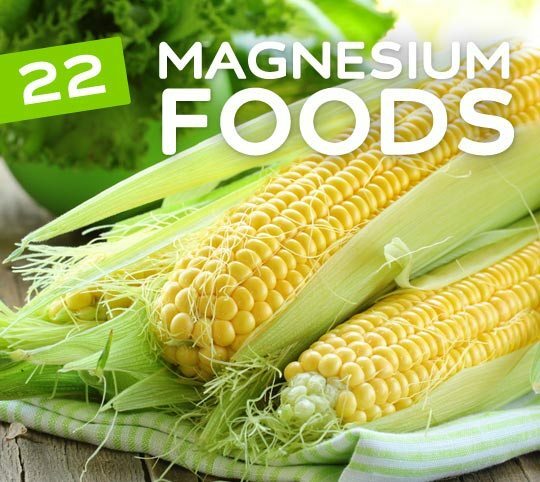 One cup of sweet yellow corn provides over half the daily recommended amount of magnesium. It’s also filled with fiber and protein, and relatively low in calories. If you’ll be enjoying healthy corn on the cob at your next barbecue, don’t forget to add some baked beans to your plate. Both of these foods are high in magnesium, an essential mineral for strong bones, reduction of cramps, and alleviation of chronic pain. Baked beans contain 81 milligrams per one-cup serving. Cooked spinach is rich in nearly every nutrient under the sun. It’s a high-health and low-calorie super food that provides 157 milligrams of magnesium per cup. You can also eat spinach raw, which is a great option for salads. However, cooking spinach slightly before you consume it increases the amounts of certain nutrients that your body will absorb. Many people prefer the heart of an artichoke, but many of this unique vegetable’s nutrients are housed in the leaves. If you haven’t made a habit of consuming the leaves, think about making a switch next time. Your body will notice the difference. One medium artichoke has 50.4 milligrams of magnesium, and they’re also a great source of antioxidants and fiber. Whole milk is high in both calcium and magnesium. But due to it’s highly inflammatory response in the body, we recommend getting your magnesium from other sources on this list before turning to whole milk. Avocados have been shown to provide a variety of health benefits. They can help prevent or inhibit the growth of certain cancers, protect against cataracts, lower cholesterol, and prevent heart disease and strokes. If you worry you’re not getting enough magnesium, avocados are rich in that, too. Add an avocado to your plate each day and enjoy the many health benefits they provide. Many people don’t realize how important magnesium is to a healthy overall diet. Fortunately, there are plenty of foods that are abundant not only in magnesium, but in a variety of other minerals, nutrients, and vitamins as well. Enjoy a diet that’s rich in magnesium, and your body is bound to notice the difference. Loved your website and the information on nutritional benefits of magnesium rich foods was well presented and very applicable. I’m into healthy eating as well as doing research on good food for a diabetic parent. It’s so helpful to get accurate health related information. Thankyou..
Halibut is Endangered and you should mention that in your Halibut description. I would not recommend unfermented soybeans since they’re gmo and an endocrine disruptor. Also, be careful with the Brazil nuts–no more than 2 a day since they’re very high in selenium, which can cause problems in too high of an amount. Thanks for supplying this list on food high in magnesium. I was doing research on magnesium deficiency when I was led here. Now, I need to find a way to work avocados and flax seeds into my meals. Each form has its own pros and cons. I take a new one, Magnesium L-Threonate they don’t even cover in that article and it is not dosed the same as the other forms. I know one Doctor (Sherry Rogers) who recommends Magnesium Chloride in liquid form but it requires a prescription. Like I said Supplements are tricky and I’ll add complicated. I came here to this site today because I am trying to lean into food as much as possible. I don’t think this would matter with most nutrients but my Integrated Medicine MD with research and an endocrinology background is adamant about this being important. He only recommended 2 supplements and this is one of them- the other is Vit D3. Unfortunately most of the foods that are good for magnesium are NOT GOOD for someone who also has Chronic Diarrhea, but also has a body low in magnesium!!! I would know!!!! I have to agree with you. I take a 1000mg supplement each day but because of IBS I often end up in hospital for an infusion. Wish I had an answer too. Magnesium when absorbed through the skin provides 60% more magnesium than if taking it orally. Especially if u have aches & pains, get urself some Phillips magnesium and rub it on the problem areas. Magnesium works wonders!! Be sure to use a sheet or something before using. Dr, Dean is a expert on magnesium. She wrote the book, ‘The Magnesium Miracle’. Drinking bottled water also contributes to poor magnesium levels. Natural well water & spring water have calcium, magnesium and other already dissolved nutrients. Pretty good information except for the milk, which is good for nothing. It depletes the bones of calcium, has 135 milligrams of Puss in every cup, not to mention steroids and hormones. If you’re not a calf, don’t steal their mothers milk. Not meant for you. Risk factors you cannot control include:. is then inserted into the chosen vein, where a syringe or airtight vial collects enough blood for the test. I appreciate this list as I want to get more magnesium and other nutrients from foods but please don’t anyone try and eat 1/2 c of Brazil nuts a day for magnesium. Google and learn that Brazil nuts are high in protein, fat and nutrients, especially selenium. They should be eaten in quantities. I only eat one a day! This article I’ve quoted below agrees with that and if your research this you will find that this is the consensus of many others. I’m a great fan of your writing. I always try to read your new article and share it publicly on social media. It was a great pleasure to me. Thanks for informative post.